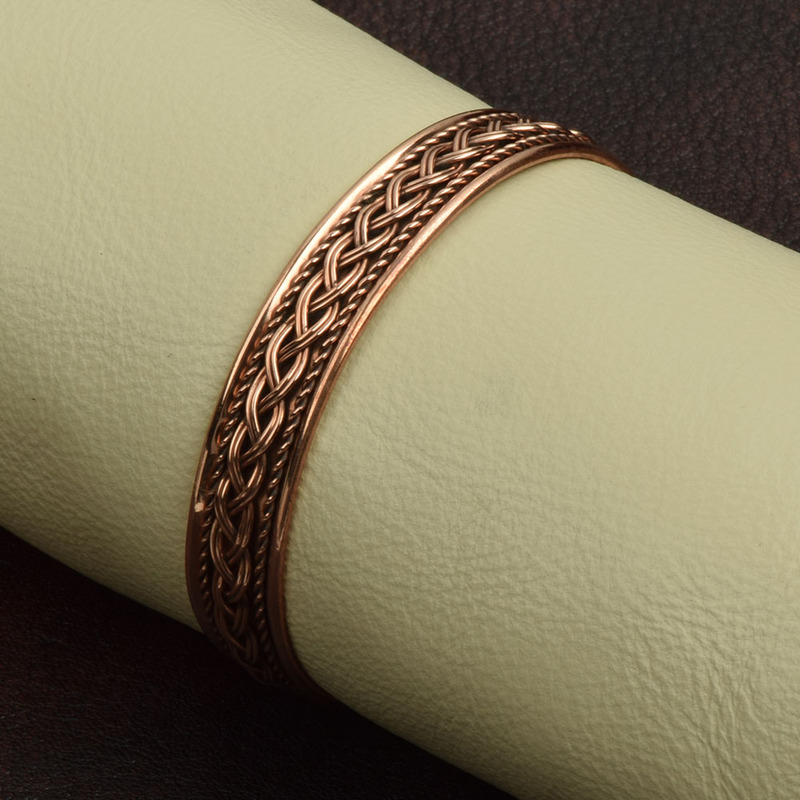 This bracelet is suitable for men and ladies. The bracelet is adjustable and fits most wrists. 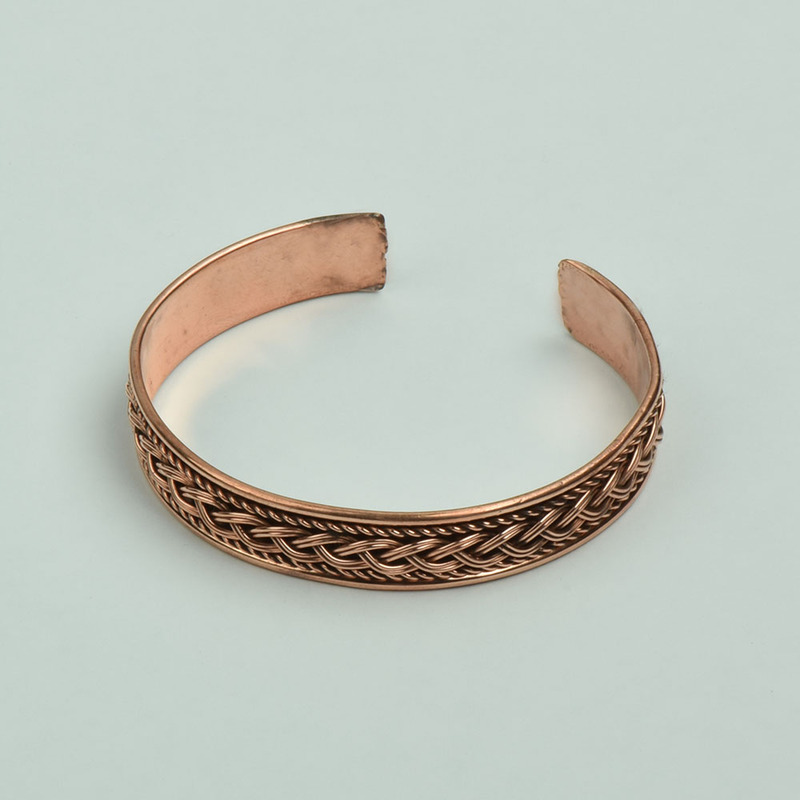 Traditional Ayurvedic medicine ascribes pain relieving properties to wearing copper, and many people believe that these bracelets give relief to Arthritic & Rheumatic Conditions. 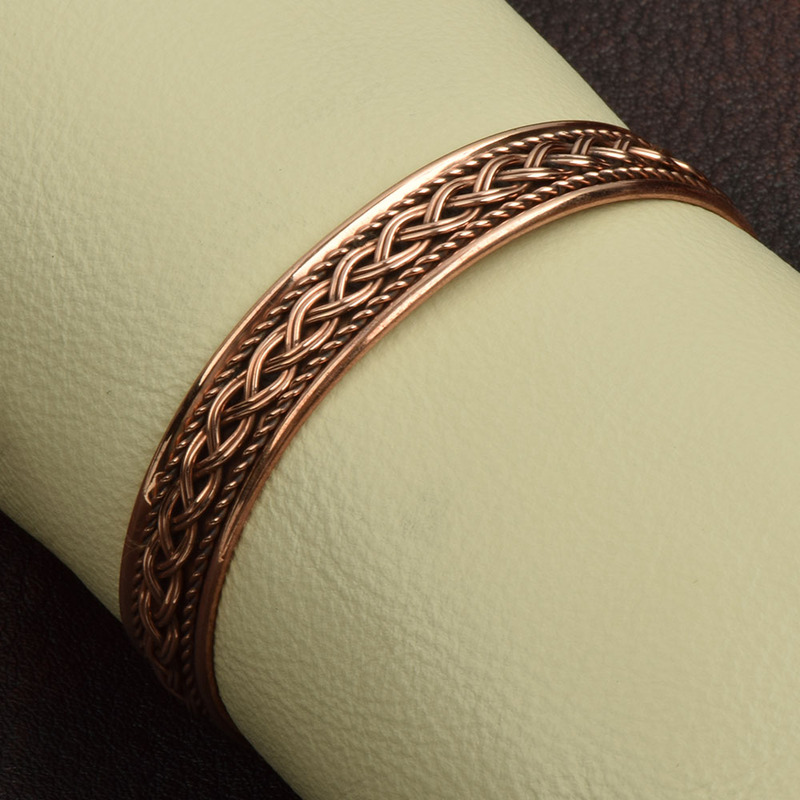 As it is made of pure copper, this bracelet will develop a natural patina after wearing it for some time. Also, it can discolor the wrist of the wearer. Discoloration on the arm can be avoided by applying clear fingernail polish to the area that touches the skin.